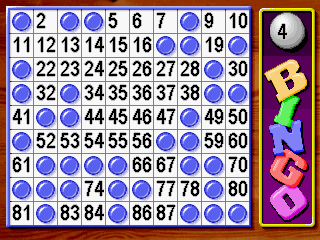 NOTE: This game is based the UK version of Bingo, not the US version. 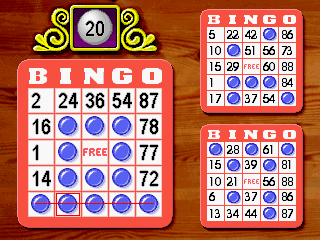 There are two modes in Bingo. 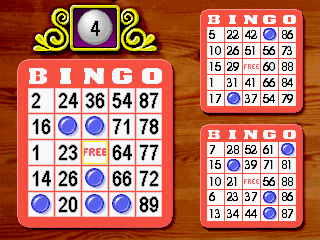 The first is the main game of Bingo for a single player. 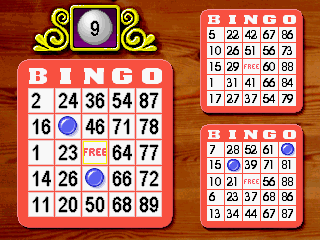 Numbers are called out in a random order and you must mark your bingo card if you have a matching number. There are two CPU players to compete against the prizes of $100 per completed line (a total of 12 lines) and $1000 for a fully completed card. 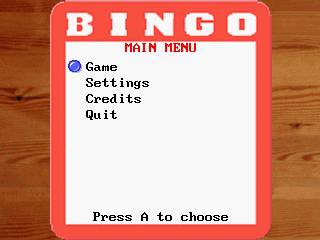 The game ends when any players card is fully completed.